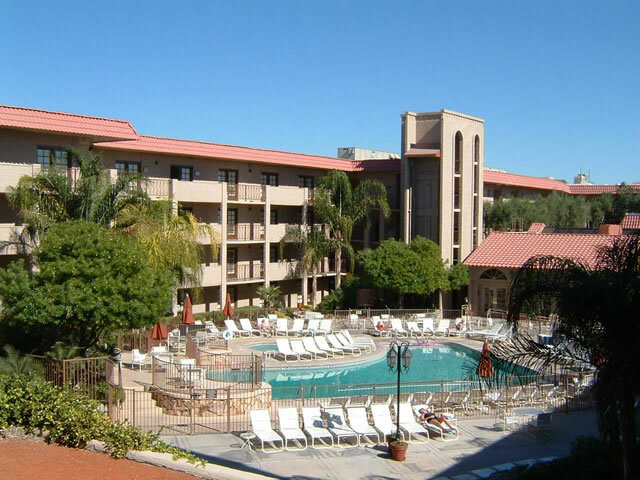 Embassy Suites Scottsdale Resort is conveniently located within walking distance to the Historic Old Town Scottsdale with its famed art galleries, shopping, dining and just 20 minutes from Phoenix Sky Harbor International Airport. Enjoy a full cooked to order breakfast each morning. Each of the spacious all-suite hotel lodging accommodations is designed to cradle you in comfort while uplifting your spirits. Entering your guest room accommodations at the Embassy Suites Scottsdale Resort, you will be surrounded by the warmth of its tasteful Southwestern elegance and furnishings which create the backdrop for your unforgettable Arizona golf vacation.